Summary: The Animal Health Foundation, a leading non-profit organization in the United States dedicated solely to laminitis research, has partnered with private and government research organizations in Australia to mastermind a collaborative laminitis research grant through the Australian Research Council (ARC). The grant, begun with three years of funding pledged by AHF, will investigate a new treatment for acute laminitis. Last week the Australian Research Council (ARC) officially announced the award of a major research grant to investigate a new treatment of equine laminitis. By partnering with Queensland University of Technology (QUT), The University of Melbourne, The University of Queensland and Nexvet Biopharma Pty Ltd, the Animal Health Foundation has turned a pledge of $36,000US over three years into a project with a total cash value of $479,500AUD and a total cash and in-kind value of $1,015,000AUD through a special ARC program. ARC’s Industry Linkage Scheme supports research partnerships between Australian universities and industry partners worldwide. The scheme plan is highly competitive and the laminitis grant represents one of only a handful awarded for equine research over the past 10 years. 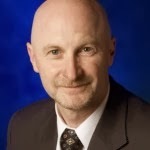 Professor Martin Sillence, PhD at QUT will lead the project, which will commence in the fall of 2016. Eight years ago, when Sillence and his team were investigating pasture-induced laminitis, they discovered that the disease can be triggered by excessively high insulin levels. Since then, the team has been able to accurately identify ponies at risk and advance understanding of the cause of equine hyperinsulinaemia. Sillence and his team are even on the verge of developing a preventative treatment. However, once the insulin levels pass a certain threshold value and laminitis sets in, there is little that can be done to arrest the condition. The ARC grant will explore a new treatment for acute laminitis that will utilize antibodies to block the receptors that are over-stimulated by insulin. The key to success will be to make the antibodies specific for the correct target receptors, and to make them 'friendly' to the horse's immune system so that these large proteins are not recognized as foreign, triggering adverse reactions or a counter-immune response. This is where Nexvet Biopharma will lend expertise. Nexvet Biopharma is an Australian-based global company dedicated to the development of species-specific therapeutic proteins for animals. Through its patented PETization™ process, Nexvet transforms human therapeutic proteins into veterinary medications that can be administered safely to a target animal, such as the horse. Nexvet Biopharma is the only stand-alone veterinary company in the world dedicated to this approach. The research project will run for three years and will involve active participation by the Animal Health Foundation. About the Animal Health Foundation: AHF is an all-volunteer US charity begun by Missouri veterinarian Donald M. Walsh 30 years ago for his clients who lost horses to laminitis. Since then, it has grown to fund laminitis education and research projects worldwide. 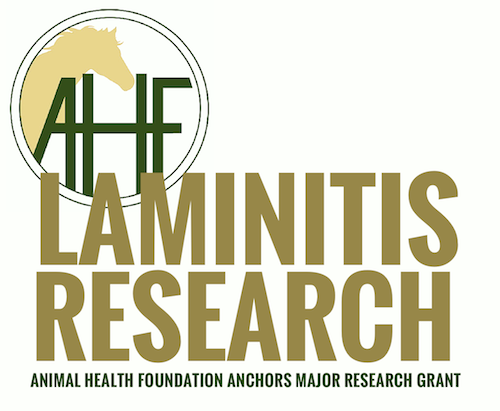 Many advances in laminitis prevention, diagnosis and treatment are linked to AHF grant assistance, which is now approaching a total of $2 million. AHF receives most of its donations from horse owners or from veterinarians and farriers in memory of horses with laminitis they've tried to help; AHF funnels 100% of all donations directly to research. In 2014, AHF launched a Laminitis Memorial Wall on the Foundation's website; it is slated for permanent development as a remembrance site for horses who fought the disease. Large and small donations to AHF are fully tax deductible, and always welcome. Click here to contact AHF.